With the increasing amount of solid waste, great threat to our environment has been caused. The solid waste treatment plant design will have a good market prospects. It also provides a better option for governments at all levels to solve the garbage disposal problems. 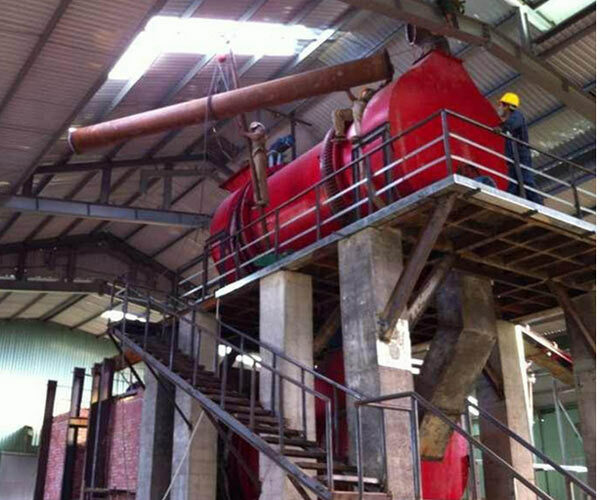 This solid waste carbonizing production line adopts the design of double layer and multi passage. It is mainly composed of drier, carbonizing plant and other auxiliary units. 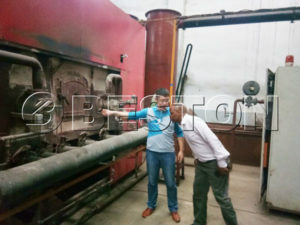 Among these parts, there are other parts like driving, rack, drying, flash steaming, carbonizing, feeding, discharging, cooling, exhaust gas recycling, wet dust catcher, gasification furnace and related pipes. We can equip the solid waste carbonization system if customer needs it (customer-made parts). 1. Agriculture: To improve the soil quality. 2. Industry: To purify the water and be used as active carbon. 3. Daily life: Be used as fuel in many fields. 1. Energy-saving. It can achieve self-sufficient, and cost less fuel. 2. Environmental-protecting. During the whole process, there will produce no pollution. 3. Security design. The central control system and temperature detection can not only protect the machine’s safety, but can also protect the operators’ safety.